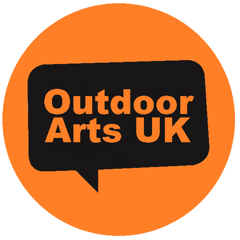 OutdoorArtsUK and Surge invite you to a day of celebration and practical guide to the Outdoor Arts sector. From elephants bringing capital cities to a standstill to local festivals regenerating communities, from international artists transforming landscapes to mass participation events uniting thousands of people - Outdoor Arts is a fast growing and dynamic sector. An event to experience more of the Outdoor Arts sector, hear some inspiring stories of the work, galvanising case studies, useful evidence of the impact and meet leading artists and producers from the sector.